In July of that year, Blackboard publicly announced that it had received the patent, and on the same day filed suit against its competitor Desire2Learn for patent infringement. Blackboard’s claims of invention were dubious at best, and the lawsuit prompted an angry backlash from many in the education technology community. It’s a backlash from which I don’t think Blackboard has ever fully recovered. Sure, you might argue that Blackboard is widely reviled because its software is cumbersome, unwieldy; but the patent claim and subsequent lawsuits also demonstrated that Blackboard was a bad actor in the ed-tech community, stifling innovation by making both companies and colleges fearful that experimentations in and around the LMS would prompt litigation. In order to demonstrate that there was in fact a long history of online course software – “prior art” that could perhaps invalidate Blackboard’s patent – a group of academics, administrators, and instructional technology types, spurred on by Michael Feldstein, took to Wikipedia, “crowdsourcing” information about the learning management system. Their entry chronicles the “History of virtual learning environments” and demonstrates that the invention claimed by Blackboard had existed long before its patent filing. In 2008, a federal jury awarded Blackboard $3.1 million in its patent infringement lawsuit against Desire2Learn. But a year later, that was reversed on appeal after Blackboard’s patent claims were invalidated by the US Patent and Trademark Office. In 2010, Blackboard announced it would end its appeals and terminate its claim on patent number 6988138. On its website today, Blackboard now offers “The Blackboard Patent Pledge,” promising to not file infringement claims based on the five patents it lists there: “Internet Based Support System and Methods” (numbers 7493396 and 7558853), “Internet Based Education Support System and Method with Multi-Language Capability” (number 9053500), “Internet Based Education Support System, Method and Medium Providing Security Attributes in Modular, Extensible Components” (number 7908602), and “Content System and Associated Methods” (number 8745222). Many technology companies have started to make similar pledges, agreeing not to use their patents in offensive litigation or go after open source developers. Twitter, for example, unveiled its “Innovator’s Patent Agreement” in 2012, right in the middle of the massive legal battle between Oracle and Google over IP related to the Java programming language. It was good PR for Twitter and other signees, as there’d been a growing chorus from many in the tech industry that the patent system was broken, that litigation was costly – particularly for startups – with much derision in particular aimed at “patent trolls,” those companies which buy up patents expressly to file infringement lawsuits. To be clear, patent pledges like Twitter’s don’t challenge the underlying principles of intellectual property or the purported benefits of patent claims. (Indeed, venture capitalists often demand that companies in their investment portfolio file for patents. There’s “value” in that IP even if the startup fails to ever become profitable itself. Patents are viewed as assets.) Rather, these types of pledges are meant to demonstrate good faith in not wielding patents in lawsuits – unless, of course, as the Innovator’s Patent Agreement says, someone has filed a patent lawsuit within the past ten years. Anyone who’s “signed” the Innovator’s Patent Agreement would be free to sue Blackboard, for example. Khan Academy is one of the ed-tech companies that has agreed to the Innovator’s Patent Agreement. It currently holds several patents: “Methods and Systems for Learning Computer Programming” (number 20150044642) and “Systems and methods for social programming” (number 20150082274), and most recently filing for one for “Systems and Methods for Split Testing Educational Videos” (number 20150310753). Obtaining a patent is an expensive and lengthy undertaking. Legal fees can range from $10,000 to $30,000, and it can take as many as three years from application to approval. The slow pace might be deceiving; it’s not so much that the review is thorough, it’s that there are thousands of patent claims to wade through. The US Patent and Trademark Office received over 575,000 patent applications in 2014; it approved over 325,000. The office employs 8600 patent examiners (half of whom work from home). A computer-implemented method for providing computer programming instructions, comprising: (a) providing, on an electronic device of a user, a tutorial comprising (i) software having one or more lines of machine-readable code, (ii) an output associated with said machine-readable code, and (iii) instructional material associated with at least a subset of said one or more lines of machine-readable code; (b) receiving one or more edits to said one or more lines of machine-readable code from said user on said electronic device; and (c) updating said one or more lines of machine-readable code and said output based on said one or more edits. There are, of course, many other, older examples of “methods and systems for learning computer programming”: languages like Logo and Scratch as well as a plethora of online tutorials. When Khan Academy launched its CS curriculum in 2012, one of its developers John Resig – the inventor listed on its patent claim – said he’d been inspired to utilize a dual interface by a public talk given by Bret Victor in which Victor demoed an interactive coding environment, responsive in real-time. One might ask, did that demo constitute prior art? 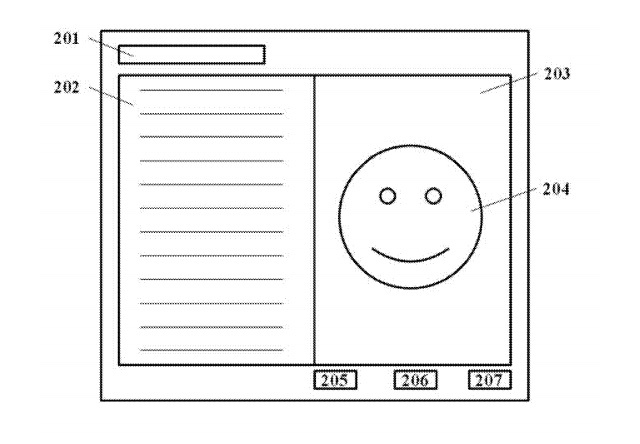 In this case, based on the USPTO records, I can’t see that the examiner on this patent made any searches for prior art. For his part, Victor responded quite critically to Khan Academy’s CS curriculum announcement, recognizing the nod that Resig had given him but looking to clarify how radically different his ideas in “Inventing on Principle” are from what the organization released in its computer programming environment. “The features are not the point,” Victor wrote. We often think of a programming environment or language in terms of its features – this one “has code folding”, that one “has type inference”. This is like thinking about a book in terms of its words – this book has a “fortuitous”, that one has a “munificent”. What matters is not individual words, but how the words together convey a message. Likewise, a well-designed system is not simply a bag of features. A good system is designed to encourage particular ways of thinking, with all features carefully and cohesively designed around that purpose. One might conclude here that Khan Academy has received a patent on “Methods and Systems for Learning Computer Programming” without recognizing the history of computer programming but even more damningly, without having much understanding of how learning works. In all fairness, Khan is hardly the only person to envision this “post-theory” version of education technology; the possibility of such a thing is something that has been widely debated in recent years within ed-tech and learning analytics circles. If, as some like Google’s Peter Norvig argue, there is an “unreasonable effectiveness of data” – particularly at scale – then theory will become unnecessary. The answers will surface themselves. But without a model for thinking about teaching and learning, I’m not sure that the answers will – or that what’s surfaced will be meaningful, durable, accurate, or just. Another Khan Academy patent – this one a filing, not yet a published claim – involves “Systems and Methods for Split Testing Educational Videos.” That is, it’s a patent for using A/B testing to determine the “effectiveness” of an educational video. Khan Academy’s patent application gives a nod to Google’s patent on “running multiple web page experiments”; indeed, A/B testing is far more prevalent in market research than in instructional design or education research. Regardless, all these practices – these “systems and methods” – are now going to be patented if the pressures and culture of the tech sector hold sway. By patenting these practices, these companies make a claim to history and to innovation: they’re “first!” They can stop others from developing what might be perceived as similar ideas. By relying on the patent process to validate their claims to innovation, these companies in turn serve to obscure the work of others who’ve long experimented in and around these very practices, particularly when those experiments are not yet technologized or when practitioners haven’t pursued the patent process. Even more importantly, these patents now help to reinforce this idea of a “theory-free,” technological future of education. Or rather, patents become the theory. This version of the future does not guarantee that these companies have developed technologies that will help students learn. But it might mean that there will be proprietary assets to litigate over, to negotiate with, and to sell.